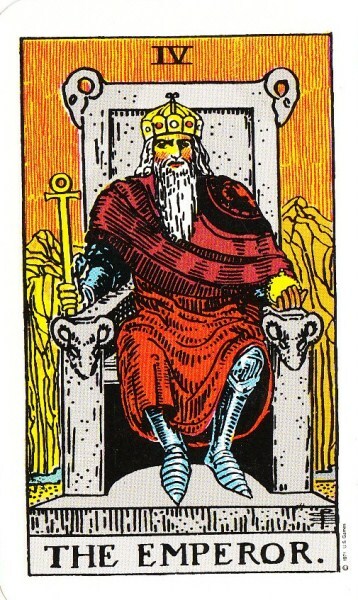 When looking at the Emperor card, we see a stern-looking man on a solid rock throne. His surroundings are stark and bare compared to that of the Empress. If the Empress was the mother figure, this card represents a ‘stereo typical’ father figure (which is not to say that woman cannot embody the concepts in this card, but it shows masculine traits). Although a bit bleak at first sight, when we look deeper into what this image is trying to tell us. We can see however, that the Emperor is; strong, disciplined and structured. I like to compare him to the foundation of any well-functioning society. Without structure, rules, regulations and frame works, society would ‘flow’ too much. Day to day facilities, like using public transport, going shopping or visiting a doctor, wouldn’t be possible. In a society without the influence of this card, things would happen as they happened, there would be no closing and opening times, the bus or doctor would literally ‘rock up’ when they felt like it. Direction and discipline are what the Emperor stands for – do you have this in your life? Is your day structured? If not, why? Could you use some of the lessons from this card? How? 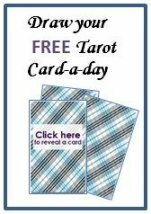 If you are using this card as a reflection on the day when and where did you have direction and discipline or lack thereof in your day? Too much structure and discipline takes the joy out of life. We want to have a certain amount of time and space in our lives, were things can just happen. Another negative meaning is that the card could also indicate an urge by someone (maybe ourselves) to control everything. Or it could hint towards being in a situation, with either an atmosphere or people around us, that want to control and dominate through rules and regulations. 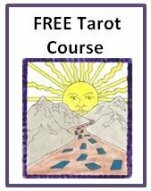 Besides my beloved hobby of Tarot cards, I work as a Professional Organizer and my job is to create structures, disciplines and rules for people to help them get on top of their belongings and their lives. This is a very strong Emperor profession, but often gets the best results, if we combine this energy with an empathetic, more feminine touch generally speaking. I also see this card in relation to parenthood. As a parent, you find yourself flip between being very caring, being a teacher or inspirational guide. To someone, that has to lay down the rules, otherwise the little darlings run amuck. This is the same in my family; what mum (‘the ruler of the family’) says goes! How is this card represented in other tarot decks? The Emperor is mostly shown as a man on a ridged stone throne. Often he will look us straight in the eye. Structure, dominance, order and discipline are conceptualised in most decks through stark lines and little background distractions or fanfare.